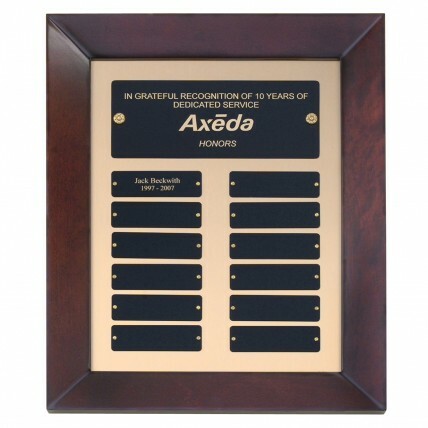 Acknowledge your monthly winner with a Cherry Finish Framed Perpetual Plaque. The gold background and black plates give this 12-month perpetual plaque the stylish edge you are looking for on the walls of your office reception area! The cherry frame has a natural hand rubbed finish adding to the elegance of this plaque. Size measures 15" tall.